Could the Court be Complicit in a 7/7 Coverup? 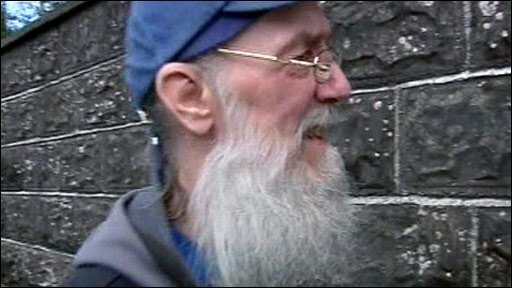 In a stunning development, on 13 November 2010, Ireland's highest court ruled in favor of the extradition of John Anthony Hill, who also goes by the name "Muad'Dib", who produced "7/7 Ripple Effect", to England to stand trial for attempting to corrupt the judicial system. The charge is in fact quite absurd, since Muad'Dib simply sent copies of his DVD to the court in England in an attempt to preclude the miscarriage of justice that would be involved in sentencing friends of the alleged "bombers" for their complicity in the matter, which is completely unjustified, once one becomes aware of the apparent governmental complicity in staging the 7/7 attacks. According to the official government account, four young Islamic men came by the tube to four locations in London  and blew themselves up with extraordinary synchrony, the three tube blasts being within 50 seconds of each other. The greatest  mystery of the official account is probably the total lack of any interest amongst the four in chemistry or bomb-making: a formal Inquest has now reiterated the totally absurd black-pepper and peroxide bomb theory, and has cited a shop where the peroxide was purchased, which may not even sell it. The Inquest has also specified the time for the first blast at Aldwich as being 8.49.00, precisely 11 minutes to 9, which has has fueled speculation as to whether a "numerical link" is being made to 9/11. Nicholas Kollerstrom, an historian of science who has also published on the case-- http://terroronthetube.co.uk/reviews-2/reviews/ -- in seeking to confirm the official account, discovered that the 7.40 train from Luton had been cancelled and the other trains that morning had been greatly delayed, which had the inevitable consequence that the four could not have got onto the trains at King’s Cross in time. This seems to be a major reason why the police have not been able to release CCTV of the young men in London on that morning. Kollerstrom, however, remains committed to his earlier view, which is that Mohammad Sidique Khan, the alleged ringleader, was not with the other three alleged "suicide bombers" that morning; because of his wife’s early pregnancy complications, Khan had decided to pull out! Were these four young men practicing "tradecraft"? What happened at Canary Wharf? Were they shot dead? While Muad'Dib had presented fifty-four points to the Court, it only considered three of them while ignoring the remainder. According to a friend of Muad'Dib, Rob,* who was present at the hearing, the judges used tortured logic and distorted language to justify their otherwise grossly improper verdict. The judges did not even bother to view his "7/7 Ripple Effect" DVD, which appears on its face to be completely unreasonable, since it was alleged to be the content of that DVD that is responsible for the extradition request. For all the judges knew, the DVD could have been a Beatles' concert or completely blank. Currently, Muad'Dib is being held in Wandsworth Prison in South London. Vivian Lee, MAGABOMBER AND PITTSBURGH SYNAGOGUE SHOOTING: MOSSAD CONNECTIONS? YoBit lets you to claim FREE COINS from over 100 unique crypto-currencies, you complete a captcha once and claim as much as coins you can from the available offers. You can press claim as many times as 50 times per one captcha.